This is an informal gathering that takes place on the first Saturday of the month, rain or shine. 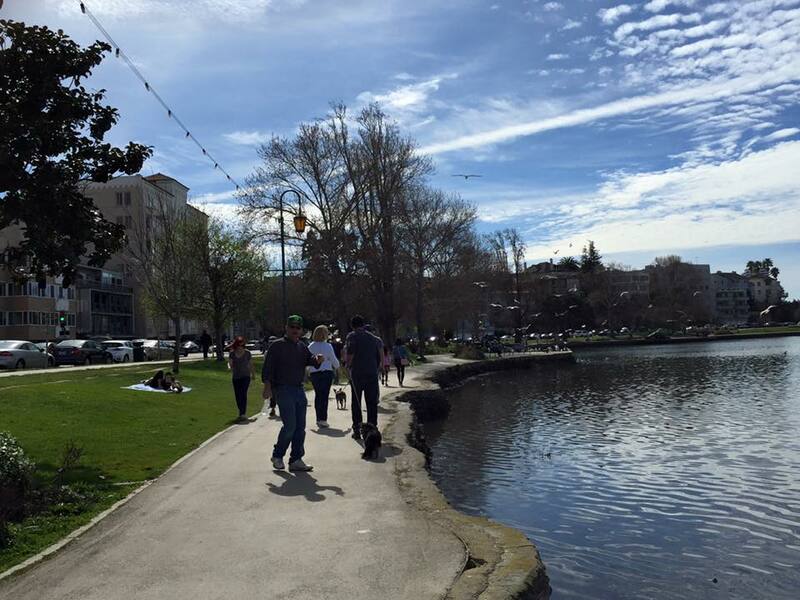 The group meets at the Lake Merritt Pergola on the east side of Oakland’s Lake Merritt at 10:30 and starts walking at 10:45 in a clockwise direction around the lake. Optional no-host brunch. We will gather for a post-walk brunch to celebrate the Pilgrims leaving in April. Details on the Facebook event and NorCal APOC Chapter page. Update 3/4: Thirteen thirsty peregrinos gathered at Barlago Italian Kitchen and had a great time talking Camino. Don’t miss the May 7th walk and brunch. RVSP on the Facebook event to get updates and coordinate carpools. Hike is cancelled by rain. This is an out-and-back hike, not a loop, so if you’re late, you can catch up with the group. Take a hike! 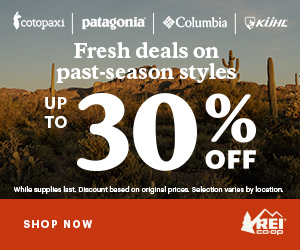 During Free National Park Week, entry will be waived at all of your favorite hiking and historical destinations, including Muir Woods National Monument and San Francisco Maritime National Historical Park. National Park Week, April 16 to 24, 2016, is America’s largest celebration of national heritage. It’s about making great connections, exploring amazing places, discovering open spaces, enjoying affordable vacations and enhancing America’s best idea—the national parks! It’s all happening in your national parks. Watch 1 minute video with historic footage. 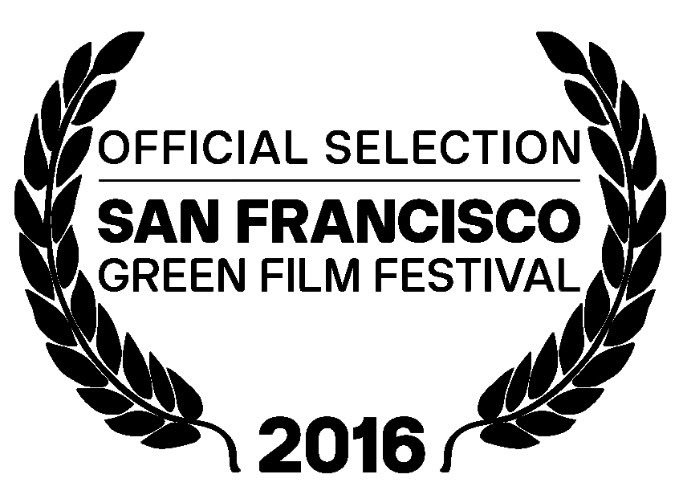 The documentary is an official selection at the San Francisco Green Film Festival, and will be featured in a group of short films. NorCal members of APOC can reserve this DVD from our CaminoFlix library. Contact me for details. UC Berkeley is one of the great universities of the world, and one of our many Bay Area urban treasures. If you are not familiar with the campus, this NorCal chapter event promises to be great educational opportunity, and also an easy and relaxed walk. This enjoyable 5-mile walk through the park-like campus will familiarize you with the schools, departments and other significant features that have made UC Berkeley the #1 public university in the nation. If you are a Cal Alum, don’t miss this opportunity to join the group and share your stories about this special and beautiful place. We will start our walk in Berkeley’s Elmwood neighborhood and approach the university from the South through the Clark Kerr campus. Bring a lunch and we will eat around noon near the Campanile. To get us back to our starting point in the Elmwood, we will take a short bus ride, so bring exact change (adult $2.10, senior (65+) and youth $1.05). Date and time: Sunday May 1, 2016. Meet at 10:30 am. We will start walking at 11:00 am. Meeting place: 2957 Hillegass Avenue, Berkeley, CA. Look for the yellow arrows. Parking: Because this is a Sunday, there is on-street, unrestricted neighborhood parking. BART and AC Transit access: If you would rather not drive, consider taking transit. From the BART Rockridge Station, take the AC Transit 51B bus for a short hop over to the corner of College and Ashby. The meeting place is only two blocks away on Hillegass Avenue. David Jennings is hosting the 3rd Annual Pilgrim Renewal on July 22, 23, 24 at North Lake Tahoe, Mt. Rose Campground (above Incline Village, NV.) 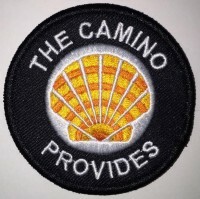 Veteran Pilgrims and those planning to do a Camino are welcome. Bella Tahoe from the Flume trail. Photo courtesy of Dave Jennings. Campsites have been reserved at the Mt. Rose Federal campground for tent campers, and all meals and activities are centered at the campground. Home stays can be provided for those who do not tent camp. Friday, 22nd Happy Hour Social at 5:30 PM at Campground followed by a community dinner. Saturday, 23rd (Feast day of St. James) Breakfast at Campground followed by a hike (moderate 7+/- miles), but depending on turnout there may be options. Evening Mass, with social time and dinner to follow at campground. Sunday, 24th Breakfast followed by a hike (5-6 miles) returning to cars for return home about 2:30PM. The weekend with the exception of minimal camping fee is donativo. Early reservations are much appreciated to assure space for everyone. Contact Walt Scheer for Campground reservations or Dave Jennings for home stays. More details on our Facebook Group and NorCal Chapter page coming soon. That’s great Pablo! Training hikes can be challenging and a lot of fun. Fresh mountain air is always therapeutic.